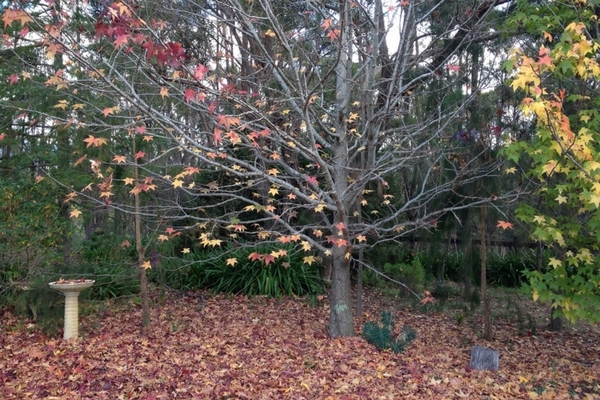 I’ve often watched a swirling wind come through our garden and lift the leaves up off the ground. The leaves are at the mercy of the wind. In Ayurveda excess vata energy (the air element) can have this same affect on us. Common expressions for this are being ungrounded or distracted and feeling overwhelmed. For some people the excess energy can sit in the gut and they experience gastric upsets such as bloating. Because vata energy contains great momentum we can be swept along with these feelings. The way to reduce excess vata energy is to stop and pause with mindfulness. Taking short pauses in our day allows our mind and body to settle. I will share with you three meditation techniques that I have found work for me, as well as others that I have shared them with. In time we develop an internal barometer to gauge how we are managing our energy. We can then mindfully choose the most appropriate activity to reattain our balance. There are two major types of breathing patterns, chest and abdominal. Abdominal breathing is the preferred type as it allows us to inhale (take in) and exhale (expel) more air compared to chest breathing. By placing your hands gently on your stomach you will soon know how you breathe. In abdominal breathing your stomach rises on the in-breath and lowers on the out-breath. During the breath cycle your chest hardly rises. In chest breathing your chest rises and falls during the same cycle and the breaths are short and shallow. Eastern practitioners encourage the placing of your hands on your stomach whilst focusing on the breath, as it draws energy into the dantien, the energy centre of the body. This helps us feel more centred and calm. Ideally sit with your back straight and relaxed, but you can stand or lie down too. Bring your attention to your breathing pattern. Slowly focus on your inhalation and exhalation. Make sure that you are breathing from your abdominals and not your chest. The abdominal breathing method allows the breath cycle to lengthen, which has an additional calming effect. You may choose to count whilst focusing on either inhalation or exhalation; whichever feels most natural to you. You may find when you commence this practice that your mind wanders onto your thoughts or external distractions such as sounds. This is quite normal. Patiently place your attention back onto your breath. Walking with mindfulness has a grounding effect. The walking meditation requires us to focus on our foot touching the ground. The aim is to notice the sensation of each step. Ideally this activity is undertaken outdoors on grass or sand where you can safely walk barefoot. In Traditional Chinese Medicine the spleen meridian runs through our big toe. The spleen contains the earth element and assists with digestion. From an Eastern perspective we need to be grounded for digestion to be complete. This is an additional benefit of this meditation. These are favourite mindfulness activities of mine because they are effective and you can do them anywhere without being noticed. By choosing to focus our attention on either the breath or our feet, whilst walking, our mind becomes more relaxed. This quiet space allows us to reappraise the current pressures of life from a more balanced perspective. Have fun with these techniques and be patient with yourself as you gradually improve your focus.